In October MakerBot launched their first new 3D printer in years, since the 5th Generation 3D printer was released back in 2013. Ever since the Smart Extruder+ was released in February 2016, there has been hope that MakerBot, with the backing and resources of Stratasys, is on a path to deliver best in class products, and continue to be a leader in desktop 3D printing. Here at WTFFF!? and 3D Start Point, we were given the opportunity to work with MakerBot’s latest 3D Printer, the Replicator+, as soon as it was released. The testing for this 3D printer review has been conducted over the course of several months, more than 100 3D prints, and three large spools of filament. So after all of this testing, has this new MakerBot 3D Printer proved to be a big step forward for the market leader, or is it just another incremental improvement? Just as we have come to expect, the packaging of the Replicator+ is just as robust and professional as ever. The outside of the box has some new graphic design printed on it, but is the same double wall corrugated cardboard with large cut foam corner protectors that cradle the printer within the box. As you open the top of the box you are presented with a small inner box that contains the Getting Started Guide, power cord, Smart Extruder+, spool of filament, among other important parts. The materials are very well laid out, and the set-up process is very clear, even to a novice user. The Replicator+ hardware is quite simple to setup. After unpacking and placing it on a solid level surface, you just need to remove all of the packing tape and orange plastic retaining clips before you plug it in and power it up. In the time since our last MakerBot 3D printer review, MakerBot has created a new App for iOS and Android phones that guides you through the hardware setup. The printer generates its own WiFi hotspot for you to connect with the app on your phone. Once connected to the 3D Printer, the app provides step by step instructions on how to configure the onboard software, connect to your home or office WiFi network, install the Smart Extruder+, filament, build plate, etc. The instructions are accompanied by detailed photos and animations, making the process very clear to the user. Once the printer is connected to the internet, the app will even walk you through upgrading the printer’s firmware, which because it was loaded months ago in the factory, is almost always out of date by the time it is unboxed. As for the physical appearance of this 3D printer, it is very similar to the 5th Generation model. Placing them side by side you can see that the black plastic outer shell and dimensions are in fact identical. The vertical filament drawer is also unchanged from the previous model. This new model 3D Printer is manufactured in China, whereas the 5th Generation and all previous models were made in Brooklyn. Based on my experience with manufacturing costs, this move was inevitable, and necessary for MakerBot to remain competitive and profitable. So it is clear to me that MakerBot either moved their injection molds for the product shell to China, or they retooled for new molds that are visually identical. The color LCD screen, control knob, and USB port for printing direct from a file are also unchanged. 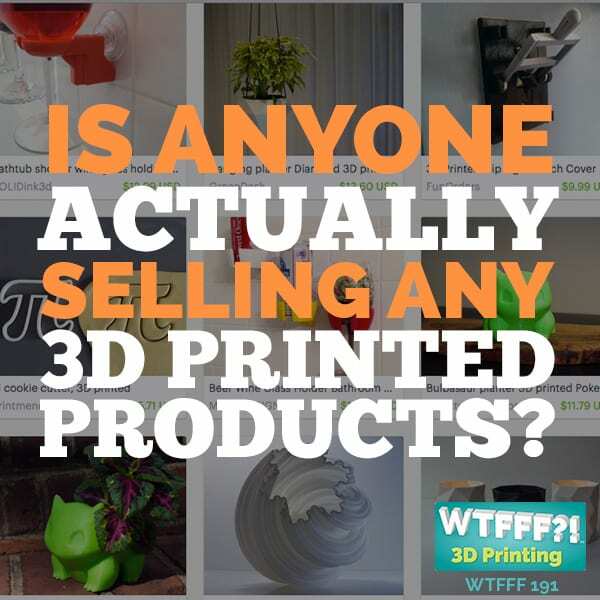 So what is so different about this 3D printer? There are two obvious differences in appearance between this new 3D Printer and its predecessor. The most significant visual change is to the build plate. Makerbot has departed from the old plastic framed glass build plate, and the layer of blue tape required for PLA to stick. It has been replaced with a flexible plastic build plate that has a stipple textured grip surface (more on this feature later in the post). The flexible build plate is removable from the printer by pulling it toward the user, which reveals a very thick stamped metal sub structure cantilevered from the Z-axis screw and guide rails. The build plate has 16 inverted “T” shaped connectors protruding from its under side. These connectors correspond with keyhole shaped openings stamped into the metal build plate sub structure. The connectors serve two functions, to join the removable flexible build plate surface, and to straighten it out so that it becomes completely flat and coplanar with the solid metal sub structure. Although the outer shell form factor is identical to the 5th Gen machine, MakerBot has managed to squeeze out a 25% larger build volume out of the same footprint. 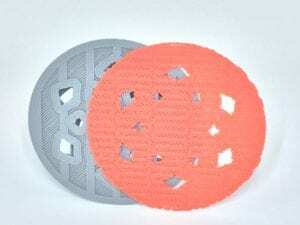 The build plate is larger, allowing you to print significantly larger objects. The other obvious difference is present on the gantry, which controls the X and Y axis movement. On the 5th Generation model the gantry was made of a thin stamped steel which looked purely functional, and was vulnerable to being damaged. I know this first hand because I accidentally dropped a heavy spool of filament on a 5Th Gen gantry and bent it. While I was able to bend it back (mostly), and recalibrate the printer into good working condition, and dropping a heavy spool onto the top of a 3D printer could definitely be considered abuse, the old structure definitely left room for improvement. The gantry of the Replicator+ is vastly improved. It is made of a brushed and anodized finished extruded aluminum, which is very thick, and formed in a structure that is not only much stronger, but significantly refined in appearance. In addition to the obvious visual improvements, this new 3D Printer is made with faster stepper motors. I have tested the same prints side by side between the 5th Generation Replicator and the Replicator+, and I have found that most prints are completed in 1/3 less time. Some models print even faster, while others will print a little slower. It depends on the complexity of the geometry being printed, if it includes breakaway support, a raft, among other factors. 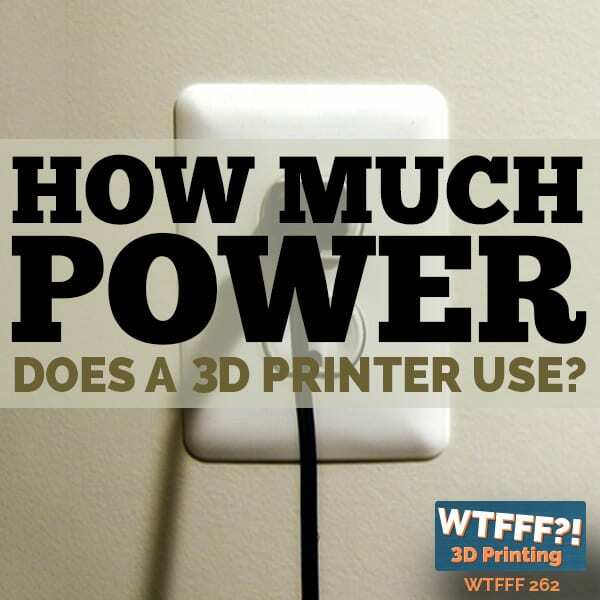 But the fact is that this 3D printer is much faster than its predecessor. We also find that it is quieter, which is another nice quality to report. Sample 3D print with the MakerBot Replicator+. The Replicator+ is still a single extrusion machine that uses the same interchangeable Smart Extruder+ that we reviewed last year. 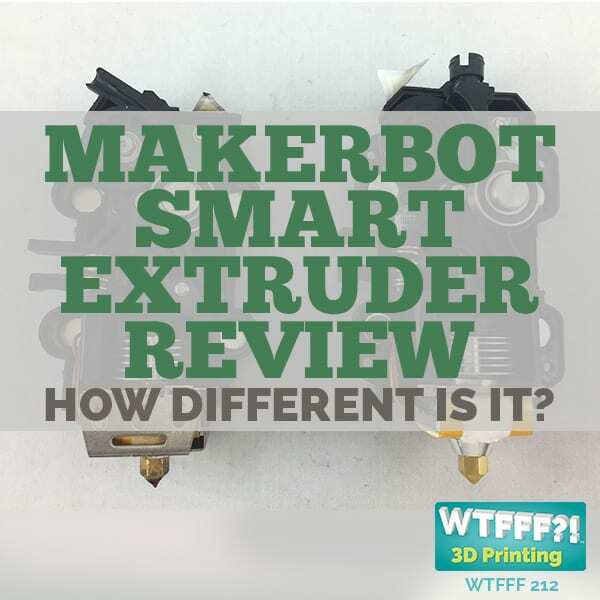 You can see our review of the Smart Extruder+ here. Our experience with the Smart Extruder+ on this Replicator+ 3D Printer is consistent with our past experience, in that we had no errors, filament jams, or quality problems of any kind using it. The Interchangeable extruder assembly is a key feature of the MakerBot lineup of 3D printers. 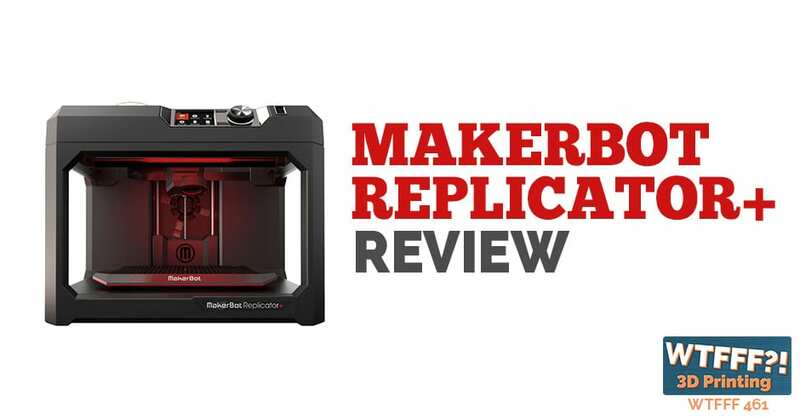 Originally it was just thought to be of benefit for replacing a worn out or malfunctioning Smart Extruder, but this year MakerBot has introduced a new material that demonstrates a different advantage. MakerBot has developed and introduced “Tough PLA,” a material with properties that is touted as being better than ABS plastic, but is a PLA derivative, so it does not come with the toxic fumes that are unavoidable with using ABS. Printing tough PLA requires using a special Smart Extruder+, called a Tough Extruder+. We have just received a bundle pack of Tough PLA and a Tough Extruder+ to test and review. We will post that review and link to it here in the near future. 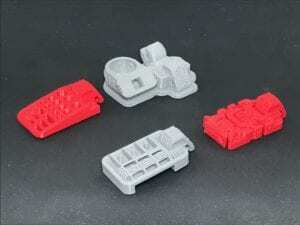 But this new material introduction demonstrates a major benefit of the MakerBot interchangeable Smart Extruder system, expanding the material capabilities of the 3D Printer. In addition to the hardware improvements, MakerBot has released its first major software upgrade in years, called MakerBot Print. 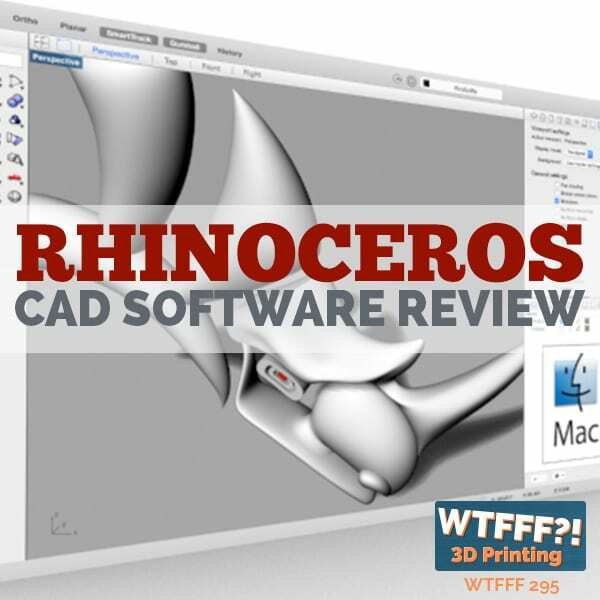 This software replaces the older MakerBot Desktop, and is a completely new software stack (as they say), built from scratch. When you launch this software it will be immediately clear that it is something different. If you are accustomed to the older MB Desktop, the interface will take a little getting used to, it did for me. However, there are a lot of enhanced features that are well worth getting used to. 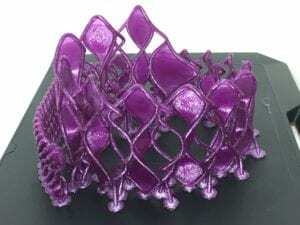 The most notable advances are that it will arrange objects automatically across multiple build plates, has many new infill options and capabilities including Minfill (see our recent post about Minfill), and has a new slicing algorithm will automatically adjust slice settings for the specific printer model, software version, and Smart Extruder type to optimize a setup for print quality and speed. While the older MakerBot Desktop software will still slice models to print on the Replicator+, it cannot take advantage of all the new features. MakerBot Print is the new standard for all MakerBot 3D Printers, and the old Desktop software will eventually stop being supported. We tested the capabilities of the Replicator+ with many CAD files including our 3D Twist Tie, Angel ornament, and all of the 3D KitBash test models that we highlighted in this post . 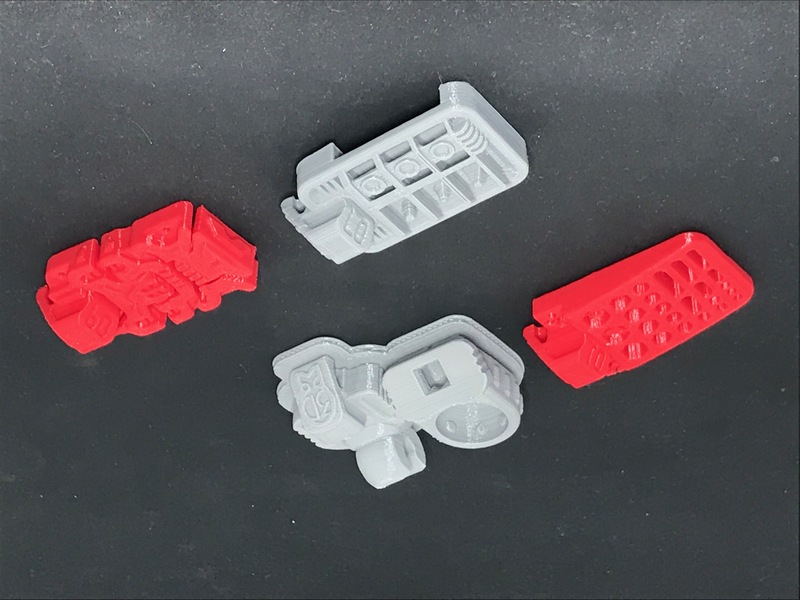 The 3D KitBash test models are ideal for assessing the quality of prints that a 3D printer can produce. They isolate different aspects of 3D printing, so you can learn the limitations of your printer, and troubleshoot quality problems. We even ran test prints on the old 5th Generation Replicator to compare its quality to the new Replicator+. We were thrilled that this new 3D printer was engineered to run significantly faster, but we wondered if the increase in speed would result in a loss of over all quality? After exhaustive testing, we have determined that there is no loss of quality. In fact, we find that in general the Replicator+ print quality to be a significant improvement over its predecessor. This is likely due to a combination of factors, both hardware and software improvements. Raft structure side by side. One of the quality improvements that has been made is in the structure of the raft. This change is most noticeable on the very bottom layer of the raft. 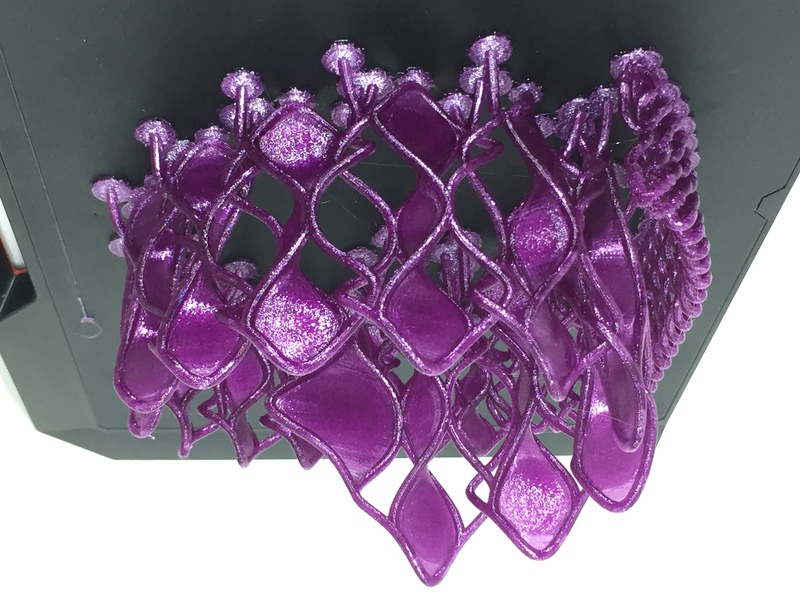 While we never experienced any quality problems with the older raft structure, apparently many users did, so as MakerBot’s software development team build MakerBot Print from the ground up, they decided to reinvent the raft structure. The new raft prints faster, and is easier to remove from the good part. By far, the most beneficial and exciting improvement in the Replicator+ is the new flexible Build Plate. 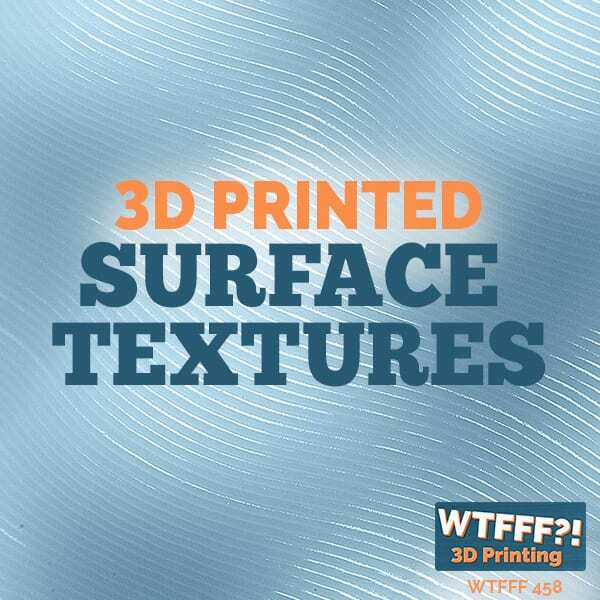 On every print tested, the PLA material adhered to the stippled (textured) plastic surface with ease, and there were no failed prints due to bed adhesion problems. In fact, the PLA sticks so well to the Build Plate, that many parts cannot be separated from it without using a tool. The recommended process to remove a completed print is to bend and flex the build plate to break the bond between the PLA and the textured surface. When you bend it you hear a cracking sound, which is very normal, and expected. However, we found that most prints do not separate completely from flexing the build plate alone. In fact, we found most prints very hard to remove completely with just your hands. Part removal was most easily done with a combination of flexing the build plate, and then using a metal tool to get under the edge of the printed part to pry it up the rest of the way. There are many tools that could be used for print removal, but none that was developed specifically for this purpose. So we have created our own tool to do this specific job very well. It works so well, that we have decided to manufacture it and make it available for anyone to buy. You can expect to find it on Amazon in the not too distant future. 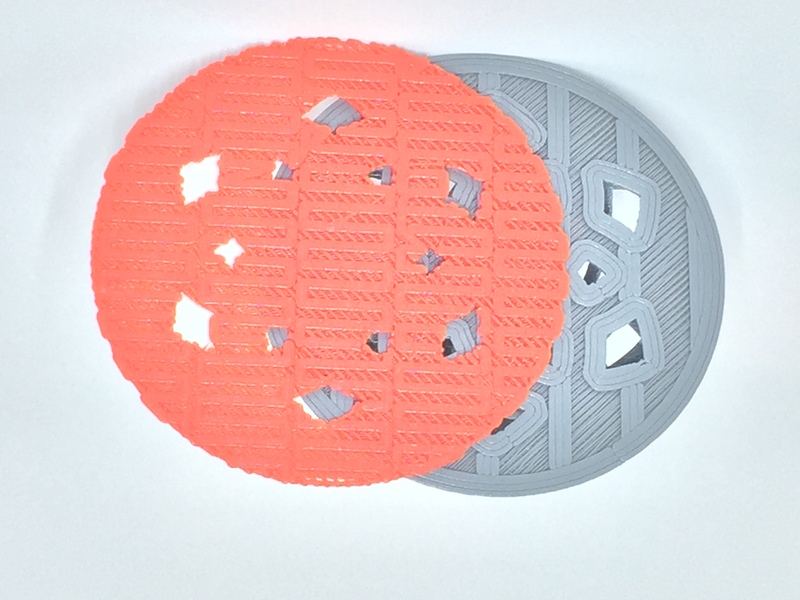 MakerBot sells replacement Build Plates for $59.99 each, or replacement grip surfaces in a pack of three for 39.99. They provide no information on how many prints the grip surface, or the flexible build plate is expected to last. Our experience having done more than 100 prints on the Replicator+ is that we see that the grip surface showing signs of wear and tear, but so far our most recent prints are adhering to the grip surface just as well as the earliest prints did. Only time will tell how many prints we can produce before the grip surface or build plate need to be replaced, but we are quite impressed with how well they are performing so far. One thing is certain, this new grip surface material, and the flexible build plate are huge improvements over the glass build plate and blue painter’s tape of the 5th Generation Replicator. In our experience the blue tape could be used for a maximum of eight to ten prints before being replaced, as long as you did not gouge or rip the tape when you remove your print. This new MakerBot 3D printer may look like a fraternal twin of the 5th Generation model, but it is significantly different in many ways. The flexible build plate with Grip Surface is a game changer that improves bed adhesion and eliminates many failed prints. From the faster motors, to MakerBot Print software introduction, in total this 3D printer is a huge improvement in performance and user experience. I still have a 5th Generation model, but I don’t even want to use it any more now that I have been working with the MakerBot Replicator+. If you want a 3D printer that just does what it is supposed to, and does not require you to become a technician to operate it, this is the 3D printer for you. Above details are very useful for my business. MakerBot 3D printer is one of the best 3d printing devices. The quality of this 3d printer device is good.